Hi peeps ! Hope all is well.I am currently melting at that moment lol. It's 32 degrees Celsius..for my US friends thats about 89 degrees I believe.Too hot for me. I am not a fan of hot !! Speaking of hot check out this image from Kenny K . I love her ! I'm quite like to bright pink and green to this....the camera is not quite picking up the lime green. The papers are from Bo Bunny Lemonade stand.This collection is fab for brightness and summer colors. My flowers are from WOC. I used a stencil I got from Simon Says Stamp.It's from Memory Box. I have to say loving these stencils !! I am more familiar with their dies.Of course I love them too so I guess I shouldn't be surprised lol. I looove the bright colors!!! 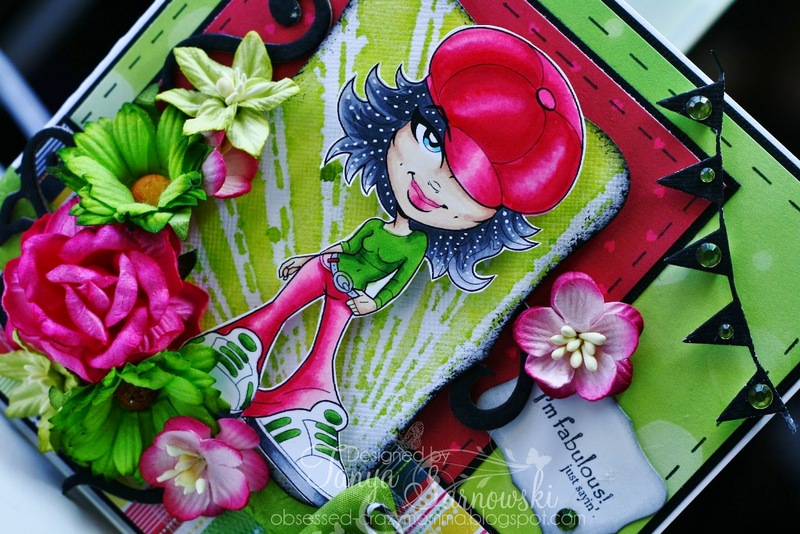 Fun card!! Thanks so much for playing with us at KennyK Krafty Krew’s *Dots & Stripes* challenge ! Good luck in the prize draw & top 3! Tanya, this is gorgeous! I love the colors and all the amazing details! Your coloring rocks too! Thanks for joining us at KennyK's Krafty Krew! 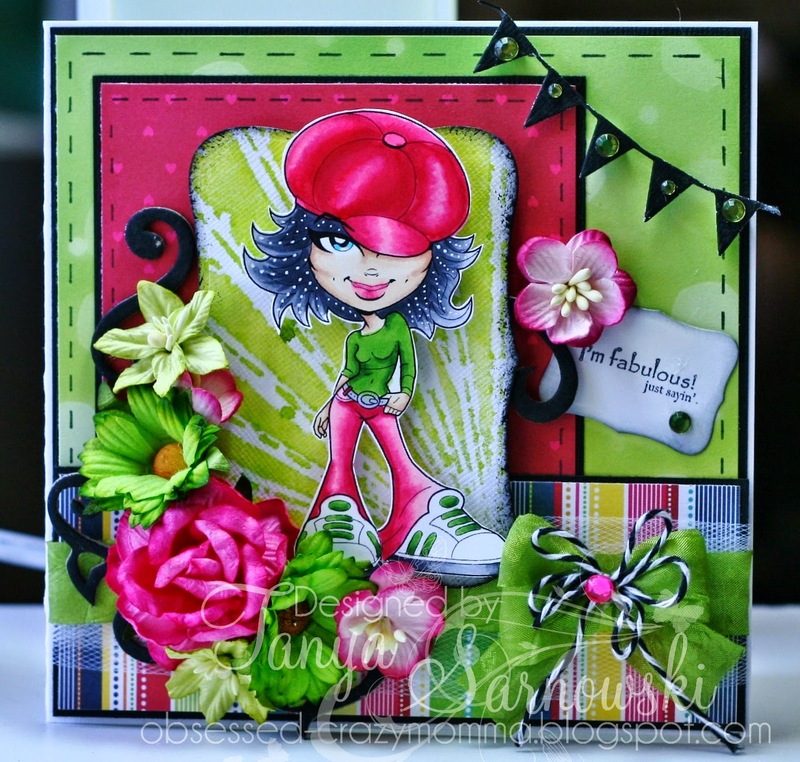 Hi again Tanya :) Your card and blog have been featured on our Facebook page. Congratulations!